While it seems as though the year has just started and yet there is so much still to do, I am also ready to take on more ideas as I try to reach all of the students that have been placed in my care. I am ready to think about my instruction, come up with new things to try or ideas for tweaking what I am already doing. And I don’t think I am alone. 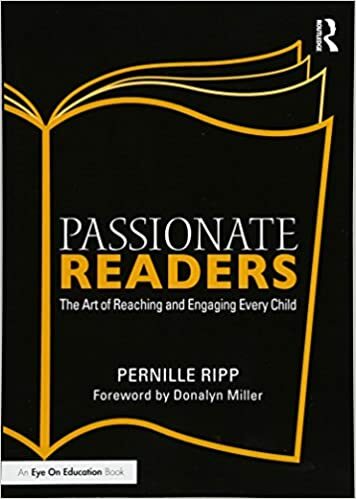 When I asked the educators in our Passionate Readers Facebook group what ideas they are currently working on, every person who answered had some sort of professional learning they wanted to do. So in order to start a conversation. In order to help each other grow. In order to renew, refresh, and reinvigorate, I invite you to join us for an informal four-week book club centered around Passionate Readers starting in January 2019. We will discuss teacher reading identity, student reading identity, classroom libraries and of course, share must-read, must-add titles for you to consider adding to your classroom. I know it is early for me to post this, but I wanted to make sure no one missed out on this opportunity to join an already thriving community of passionate educators who are sharing great ideas. Also: Please sign up here so that I can email you the study guide and a reminder. Once a week on Sunday’s, I will do a Facebook live conversation where I can answer questions, highlight books, and share ideas. Throughout the week I then post questions related to the chapters, you can answer them either in the Facebook group or privately in the Google Classroom. Anyone can also share resources, questions, or ideas that they have that relate to the chapters. The book club will kick off January 6th and run for four weeks wrapping up February 2nd. Note: The audio version of Passionate Readers was released December 12th. I love listening to audiobooks on my commute so that is an option as well. If you have already done the book study, please join us again if you would like. There will be new questions sprinkled throughout and the Facebook Live videos will reflect new thinking and more ideas. Thank you. I ordered the book and am interested in the four week course. Should I send you a copy of the receipt from Amazon? No need, I believe you. I want to sign up, but the Google Doc won’t work! Is there another way I can sign up? Please let me know. I love learning from you, Pernille. Thank you for this opportunity. Trying to fill in the form online but it won’t submit.